Laura Vita brings us 1014/80 BILLY 52. 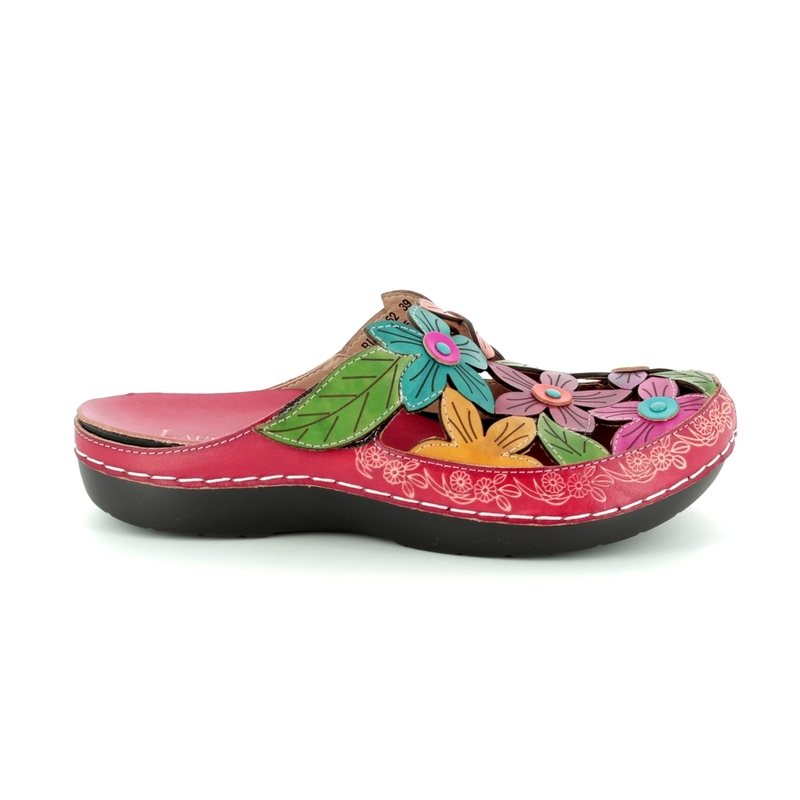 These ravishing red mules are perfect for warmer weather and wearing on holiday and would add a touch of stylish fun to your outfit. 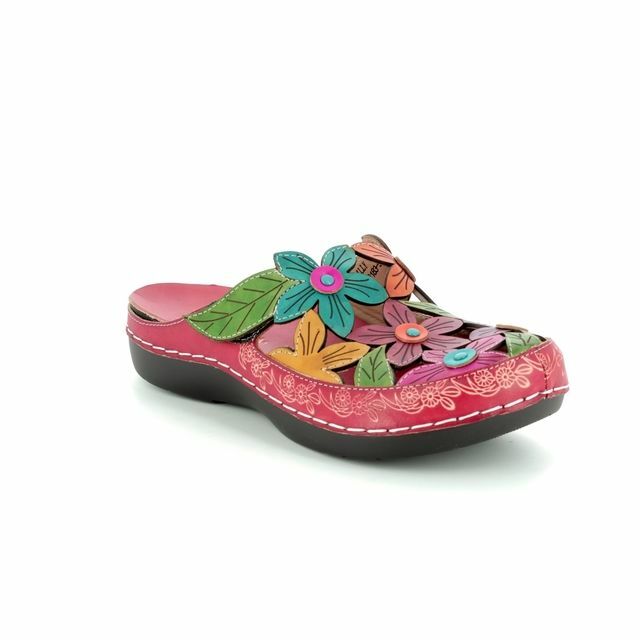 The upper is made from leather that has been cut out to form a carpet of flowers and leaves with the blossoms embellished with contrasting coloured centres. 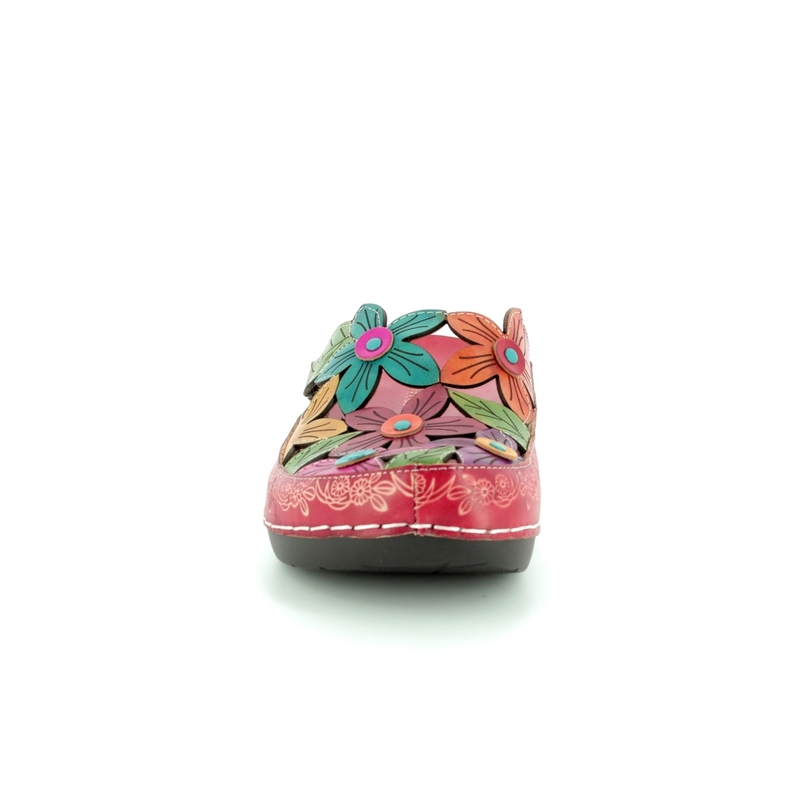 Around the outside of the shoe is floral design that has been tooled into the leather. 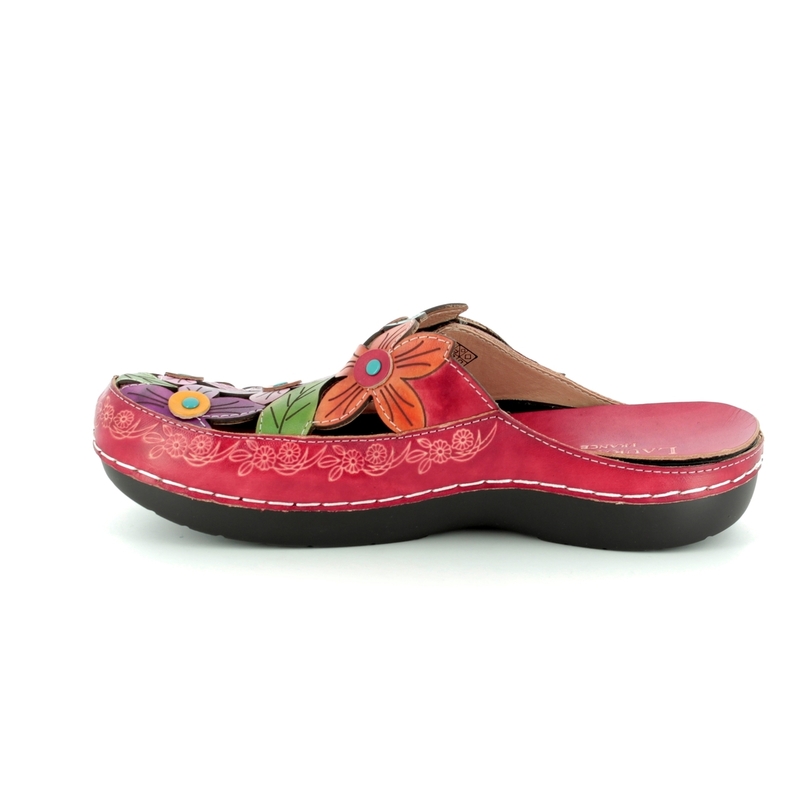 The bold contrasting white stitching adds to the fun styling of the shoe. 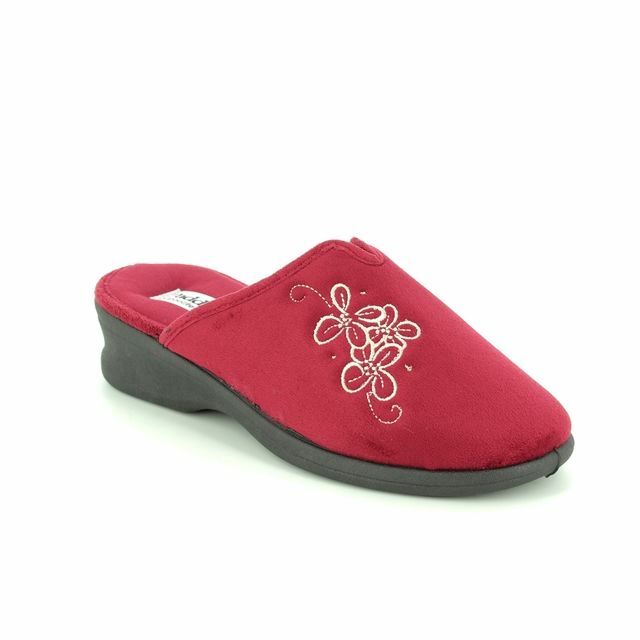 These mules slip on and additionally there is a hook and loop closure so you can adjust the fit if required. 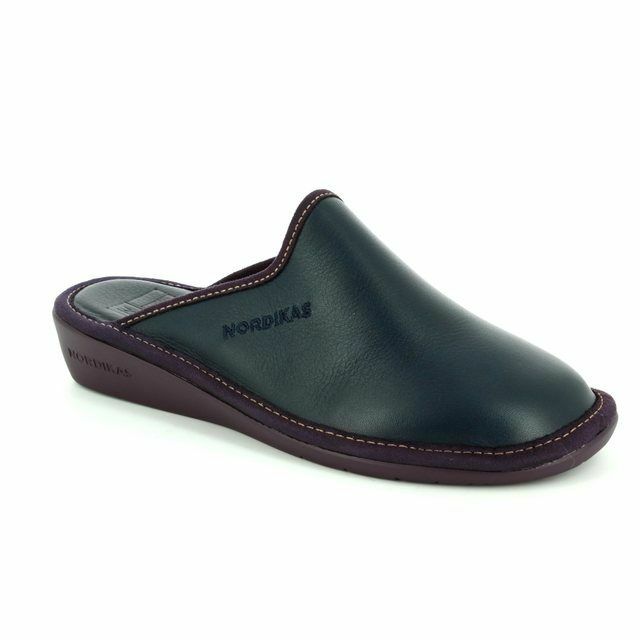 The sole is made from a synthetic material that is extremely lightweight, this helps to reduce fatigue while wearing for greater comfort while wearing. 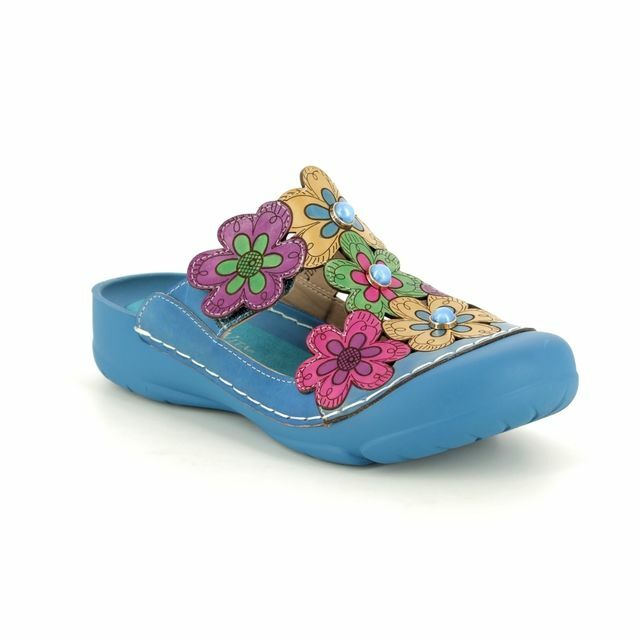 The heel height measures approximately 1 inch. 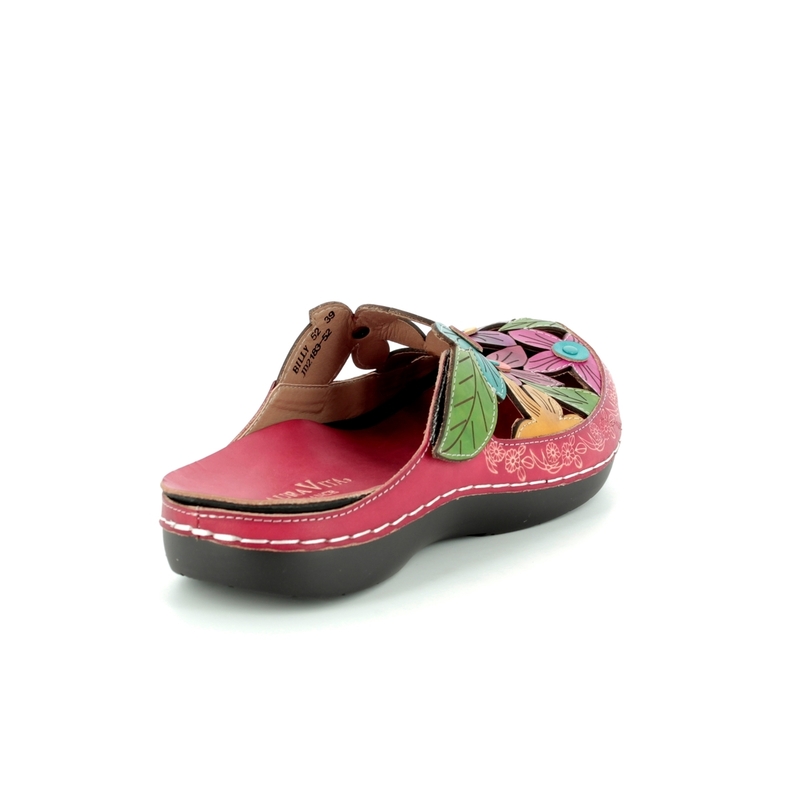 Buy your Laura Vita women's mules from Begg Shoes, an official Laura Vita stockist.